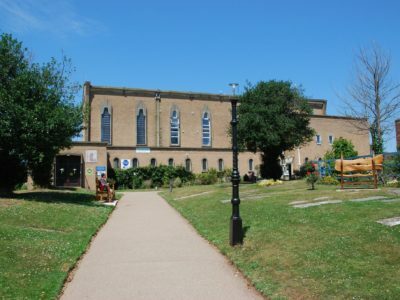 St Sidwell’s Community Centre is open 9-5 Monday to Friday and the main display area is open during these times. To visit the chapel and see the stained glass and Hems statues please pre book by phoning the centre on 01392 666222 or by emailing bookings@stsidwells.org.uk. The self-guided walking tour of St Sidwell’s can be downloaded here, and the graveyard audio tour can be listened to here.